If you are looking to replace siding on your home, there are many materials to consider. For budget-conscious homeowners, vinyl and aluminum can be a great fit, because these are the least expensive siding materials. For those looking for a higher quality material that also offers a high-end look – wood siding or fiber cement (Hardie) are popular materials of choice. Stone and brick siding are at the highest end of the price spectrum, and are often a choice for historic homes and upscale mansions. Here is a reference chart for the material and installation prices for the most popular siding materials. In addition to the cost of siding itself, it is important to factor in the cost of installation, as it can nearly double your total price for the project. Installation prices can be greatly impacted by your location (you will pay more if you live in an expensive area, such as New York, San Francisco, etc), the type of house you have, the complexity of architectural details, and many other factors. Depending on the siding material you select, you will also need to factor in the cost of tearing-off the old siding, which can range from $0.75 -1.50/sq.ft. You can use our siding calculator to get a more accurate estimate for your project. However, we recommend contacting at least 3-4 local contractors who can take a look at your house and give you an estimate that will take into considerations all the specifics of the project. Moreover, getting a number of quotes will help you select one that best fits your expectations and budget. You may also want to consider the cost and effort involved in maintaining different types of siding, before making the final selection. It is very important to consider the quality of the siding material you plan to install on your home, since it will affect the product’s appearance, durability and longevity. Many home improvement stores and other suppliers offer a selection of different grades or qualities for each type of material. This is particularly true of wood siding. Higher quality, clear grades will be more expensive, but this extra cost can be worthwhile if you are looking to achieve the best aesthetics and durability. Similarly, high quality vinyl siding can be recognized by its superior appearance, which will look less artificial than the cheaper grades of vinyl. Higher quality vinyl siding also tends to be heavier (thicker boards), which makes it more durable and less susceptible to blow-off (this is a common problem with cheaper vinyl siding). Depending on the siding material you choose, you will get varying lengths of service life. Vinyl siding, especially the cheaper grades, is considered to be the least lasting. Often, when vinyl siding is still in tact, it starts to look very ugly and worn-out, because the original color fades. It can take anywhere from 5 – 15 years for fading to become very noticeable depending on the quality of product you have purchased. Wood siding can last for up to 30 years or more, when cared for properly. 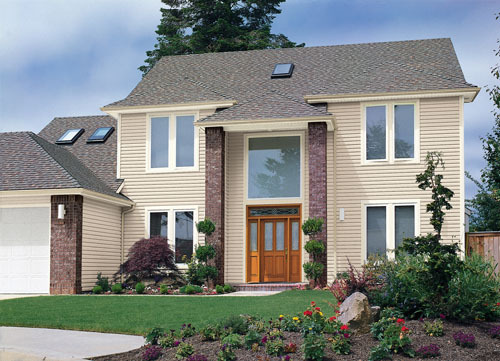 Fiber cement siding can last up to 50 years. 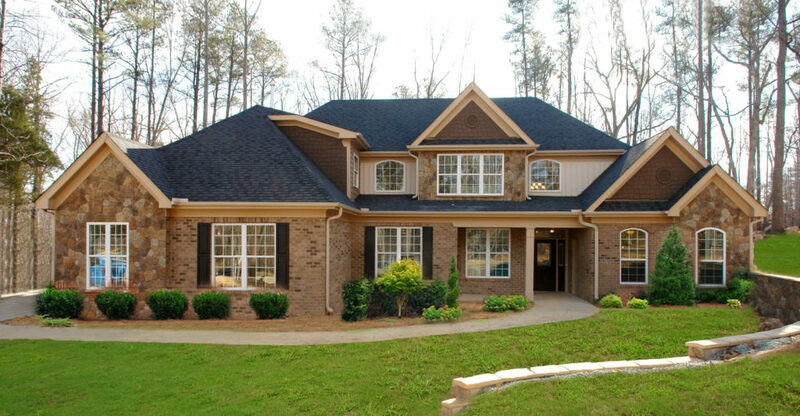 Natural and manufactured stone, as well as brick siding can last for over 100 years. Stucco also offers great longevity; 50 years or more. Siding manufacturers typically offer warranties on their products. The length of the warranty varies depending on the material and the particular grade. Warranty length is a good indicator of how durable the material is and how long it is likely to last. A longer warranty also offers protection against any problems that may affect your siding in the future. It is, therefore, a good idea to find out about the warranties offered by your manufacturer and to make sure that you understand exactly what is covered. Vinyl and aluminum siding are typically the easiest to maintain, requiring very little work. Over time, this can help to increase the savings of both time and money. Wood siding usually takes more effort to maintain. This is particularly true if you have chosen to paint your wooden siding rather than to stain it, as it will then require more regular maintenance and repainting in order to keep it looking its best. It usually needs to be repainted or stained every four to ten years, depending on the climate and the quality of the paint or stain. Fiber cement siding also requires periodic repainting, but usually less often than wood. Natural stone may require occasional mortar repairs, but is otherwise very low maintenance. Manufactured stone requires even less maintenance, although its appearance may occasionally be improved through washing it. Brick siding rarely requires maintenance. Stucco siding does not usually require much maintenance, although it will need to be repaired if a crack develops. You can buy your siding directly from a home improvement store or supplier. Another option is to purchase it from the installer. Sometimes buying siding separately from the installation can save you a considerable amount of money. To get the best deal, you should shop around for your material of choice and also get quotes from at least 3-4 installers. This will allow you to compare pricing and select the best deal. Getting a professional, licensed siding installer is necessary if you want to make sure that your product actually lasts. Poor installation can often be attributed to siding that begins to fail long before the end of its service life. 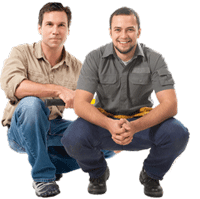 It is best to choose an installer that has experience working with the product you have chosen. Be sure to ask for at least 3 recent references of jobs completed in your area. If you have time, you can even visit those sites and see if you like the siding job. You advertise 12.99 on website and video (2 places) but on app it is 19.99. I will order it but want the advertised price of 12,99 NOT 19.99. How can I get that price?